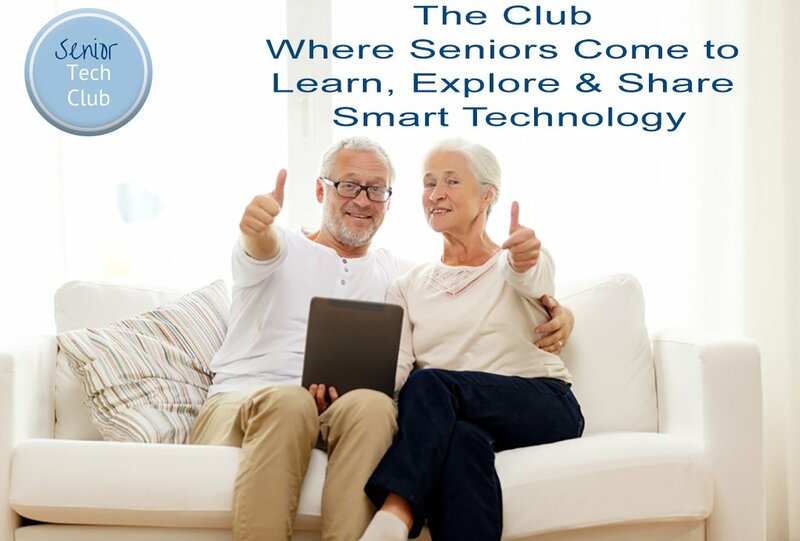 The Senior Tech Club is the online club where Seniors come to Learn, Explore and Share Smart Technology. You have an iPhone. It’s supposed to be one of the best smartphones but it just doesn’t seem so smart as you only use it for making and receiving calls. You have an iPad so that you could look at pictures of your family and grandchildren but then the pictures disappear and you can’t find them again. You want to read books with your iPad but the options are too expensive. You are intimidated when you walk into the retail store seeking help from their Geniuses or Geeks. You wish there was a safe place to ask questions. You like to take pictures with your iPhone but aren’t able to get them off of your iPhone in order to share. You take a class on your device but it ends up like taking a drink from the end of a firehose. You wish the learning could be delivered in drips. You get help from your kids or grandkids but they don’t have time to help you understand your device. If this is YOU, you are in the RIGHT place! Join the Senior Tech Club and Learn, Explore and Share new skills to help stay connected and engaged using your Apple iPhones and iPads. Lessons especially designed for Seniors. Learning needs to be continuous and active, not just a single class or a static book. Learning and sharing occurring in a safe community of Seniors. Learning at the Senior Tech Club is delivered by Recipes and Nuggets. Recipes and Nuggets are the brain-friendly way to learn specific functions on your devices. Recipes are short lessons with step-by-step guides and are specifically designed for seniors who don’t want want to read a 20-page article or spend a day reading a book. Our recipes and nuggets use simple layouts, large fonts and video in order to meet the diverse learning styles of Seniors. With Recipes and Nuggets as the foundation, your learning is continuous and active as opposed to taking a class or reading a book. A Safe Community for Seniors. We have developed a safe and understanding community for Seniors. We recognize that the Geniuses and Geeks in the retail stores might know technology but they tend to make it way too intimidating. Even attending a public class is frequently intimidating and conveys to much information, more than can be consumed at one time. Wouldn’t you rather join a community where Seniors can learn at their own pace and freely ask questions and seek help? Membership in the Senior Tech Club Room includes a Q&A Forum where you can safely ask your questions. It is private and only for members. 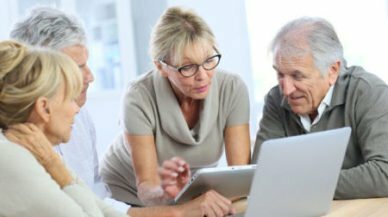 Use it to connect with an online community of seniors who are happy to share and discuss their technical challenges. Show me your membership plans. I like what you are saying. And it’s only $5 per month with the annual plan? Click the button below to show our membership plans. You can experience the club first hand by signing up for a 30 day trial program. It’s FREE! Not sure if the Senior Tech Club is Right for you? Click below to learn more about whether the Senior Tech Club right for you? Are you thinking about giving a parent or loved one a gift of learning? We have a plan that will allow you to share a membership for ongoing learning.